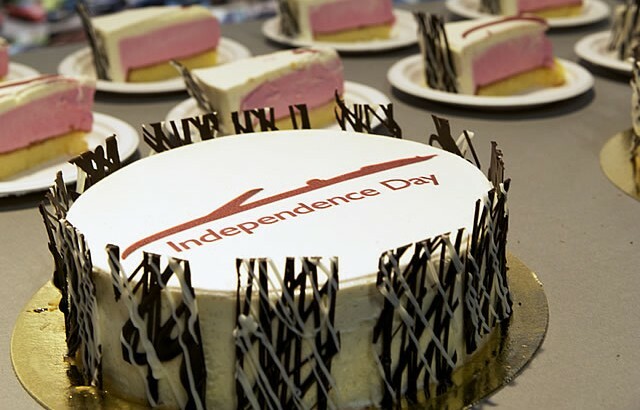 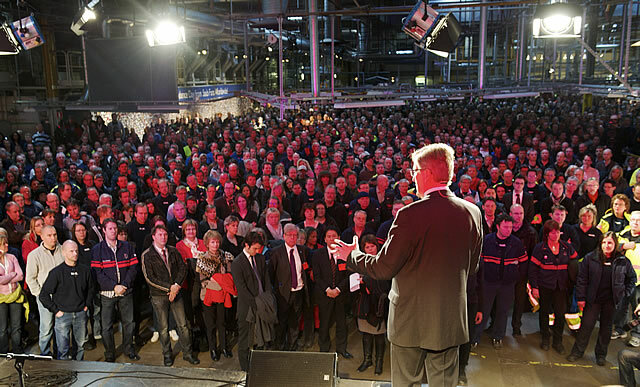 The Saab Automobile factory echoed to the sound of loud cheers and spontaneous applause today (23 February) as almost 4,000 employees, dealers and suppliers held a giant party to celebrate the first anniversary of Saab’s rebirth as an independent carmaker. 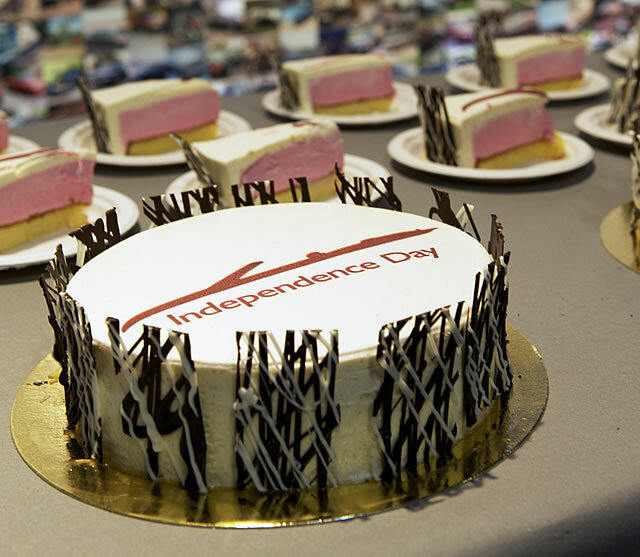 Production was halted for the afternoon and part of the state-of-the-art plant was converted into an entertainment arena lined with hot dog stalls and refreshment stands. 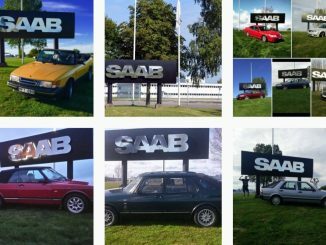 A wall was covered with a 25 meter long montage of photos and birthday messages from thousands of Saab fans on Facebook. 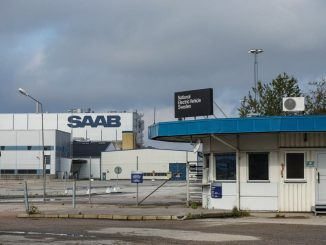 The party also saw the unveiling of a special Independence Edition Saab Convertible, of which just 366 will be produced, and previews of the 9-5 SportCombi and new 9-3 Griffin range ahead of their public premieres at next week’s Geneva Motor Show. 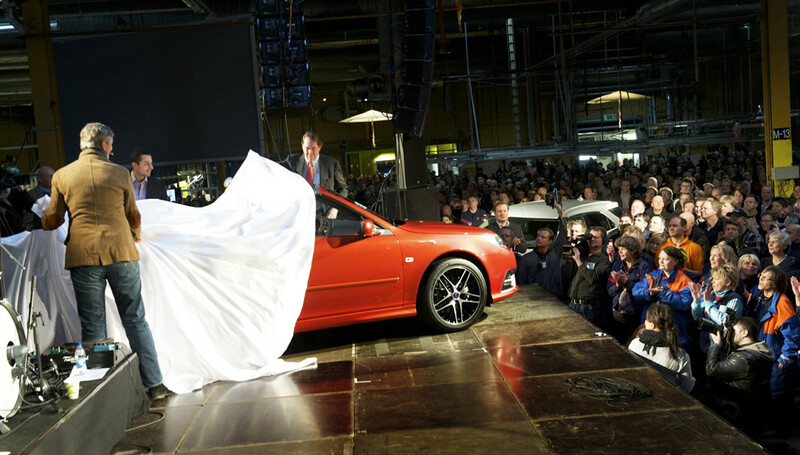 Leading the festivities were Saab Automobile Chairman Victor Muller and Saab President & CEO Jan Åke Jonsson. 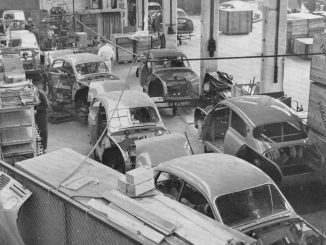 “No other carmaker has such a loyal workforce, such a loyal dealer network or such a loyal customer following,” said Jonsson amid loud cheers from the audience.